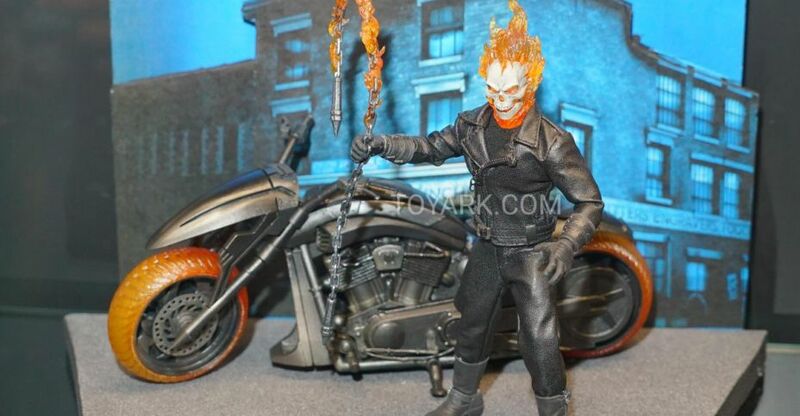 Sideshow Collectibles has revealed pre-orders for some new DC Collectibles releases. 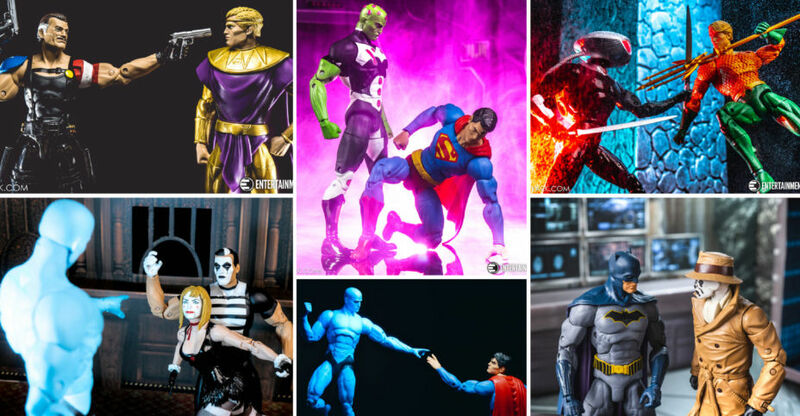 The newest items include the latest Dark Nights Metal statues, a new Batman Cowl, DC Bombshells and more. There also look to be new mini-sized versions of previously released statues. Check out the list below and see more details, pre-order links, and images after the jump. 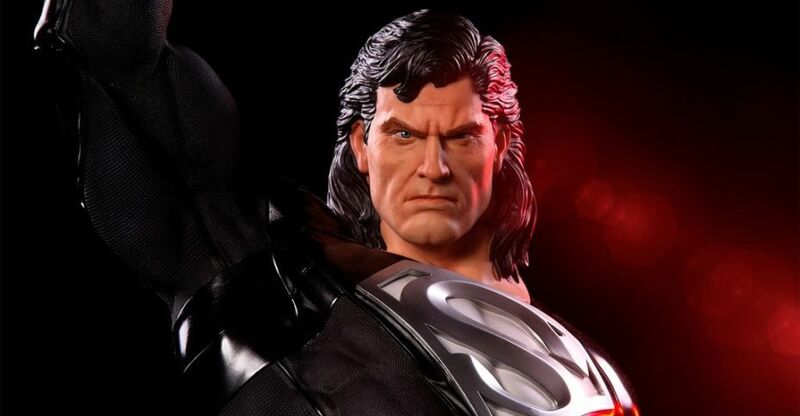 Iron Studios has opened up pre-orders for their new DC Comics – Black Suit Superman 1/3 Scale Prime Statue. 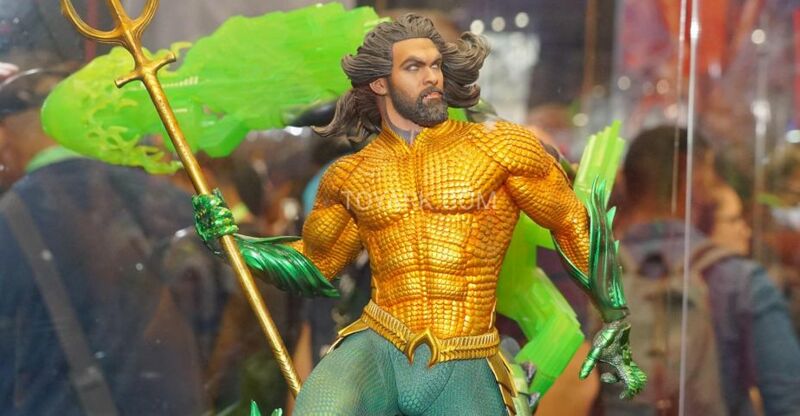 The statue is based on concept art by DC Comics artist Ivan Reis. It stands over 37″ tall, with Superman taking flight from a Fortress of Solitude style base. The base itself has a light up LED feature (complete with A/C Adapter). Superman also includes two interchangeable portraits. The statue is set for release between September and December of 2019. It’s priced at $999.99. Pre-order at the link below, and see the images by clicking the headline of the story. 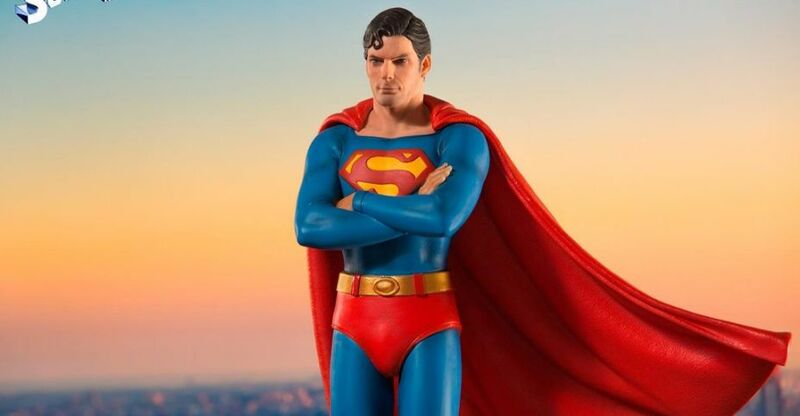 Iron Studios has opened up pre-orders for an all-new statue based on Christopher Reeve’s iconic portrayal of the Man of Steel. The upcoming Superman: The Movie – Superman 1/10 Deluxe Art Scale Statue seems to be more inspired by a scene from Superman II, where he confronts General Zod at the Daily Planet. Superman is shown with his arms folded, standing atop a flag pole base. The statue will stand over 13.5″ tall. It’s priced at $119.99 and should be released between May and July of 2019. Pre-order at the link below, and see the new photos after the jump. DC Multiverse continues it’s all encompassing DC Universe line up with Wave 9! This round includes Gotham by Gaslight Batman, Rebirth Wonder Woman, Rebirth Ray, Rebirth Vixen and a Collect and Connect Super Warsuit Lex Luthor. Mattel continues their 4 figs per CnC method and I personally dig it, gets you right into the action. You can pair these with the 2 Wal-Mart exclusives – Harley Quinn and Spoiler to get the extra Lex Luthor pieces and make him complete. Those will get you the Apokolips head and Mother Box. On top of these 4 figs releasing recently, the Lynda Carter Wonder Woman Signature Series has also dropped. 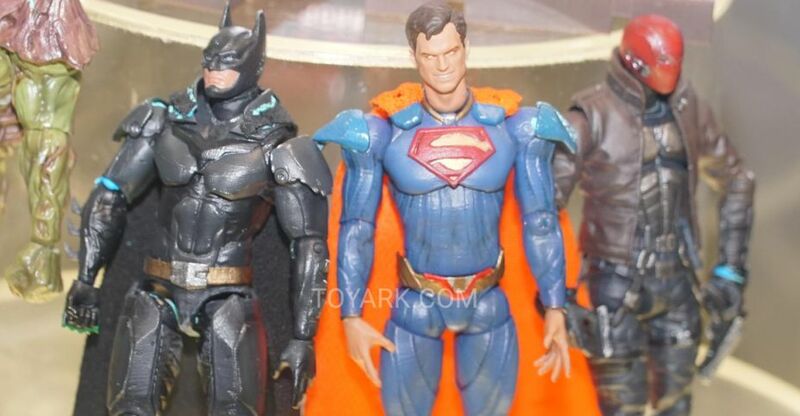 This is Mattel’s higher end version of Multiverse that comes with a display base, stand, display card and extra paint and refinement. It’s based on the 70’s Wonder Woman TV show and features a really well done Lynda Carter likeness. She also has extra hands and a cape! Out of the 3 released so far – Val Kilmer Batman, John Wesley Ship Flash and now Lynda Carter Wonder Woman, this one shines with The Flash right behind her. All of these are out now or set to drop soon, check our sponsors below and your local shops if you see anything you dig! We’ve run the lot of them through a gallery session. Read on to check the 85+ HD shots that we took courtesy of Mattel! 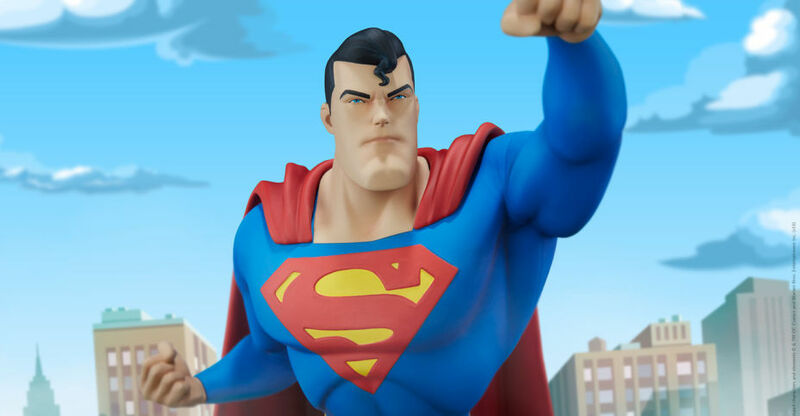 Sideshow Collectibles has released official images and details for their upcoming Animated Superman Statue. The 20″ tall statue features a Bruce Timm animated style Superman in a flight pose, leaping off the Daily Planet statue base. The statue is fully sculpted with no fabric elements. Sideshow will offer s Standard Edition ($415) and a Sideshow Exclusive Edition ($425). An additional smiling portrait is included with the Exclusive Version. You will be able to pre-order the new Superman statue starting on Thursday, October 25 some time between 9:00 AM and Noon Pacific Time. Pre-orders will be available via SideshowToy.com. See the new photos and additional details after the jump. 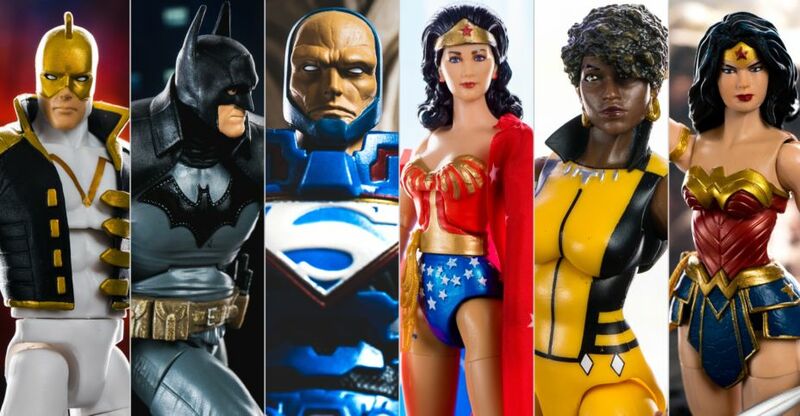 Here are the DC Comics items on display by Sideshow Collectibles from New York Comic-Con 2018. There are statues and a few 1/6 scale figures to check out.